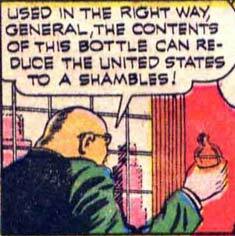 Random Panel: Your plan is vodka … ? 3 Responses to Random Panel: Your plan is vodka … ? Yes, comrade. We will drive the bankers and pop culture peegs to drink! Capitalism will absolutely crumble to the might of… Absolut(tm)! Now available in several fruity flavors! The use alcoholic warfare worked against Ireland so he may be right.